I would like to welcome you to our website. I am a native Korean and I have taught Taekwondo for over 15 years and trained for 23 years. I would like to invite you to come to one of our classes to experience what we do and how we change people’s lives here at Kukkiwon Taekwondo Acacdemy. You took the first step by visiting our website; now it’s up to you to take the next step. We offer a FREE trial lesson, no obligations and NO CONTRACTS. We are one of a kind Taekwondo School and we treat each of our students in such matter. If you are looking for a high level of training you have come to the right place. There are many schools out there and I know it’s hard to pick the right one. 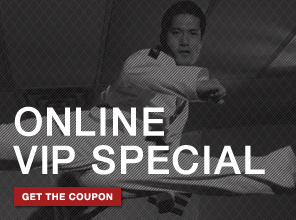 I assure you we offer the best Taekwondo training available. I often tell my customers to visit other schools first before visiting ours so you can see the overwhelming difference. We offer many programs to suit your needs, whether you’re doing it for the excercise or training for the next Olympics. Taekwondo is truly for everyone. Call us to get a free VIP pass. 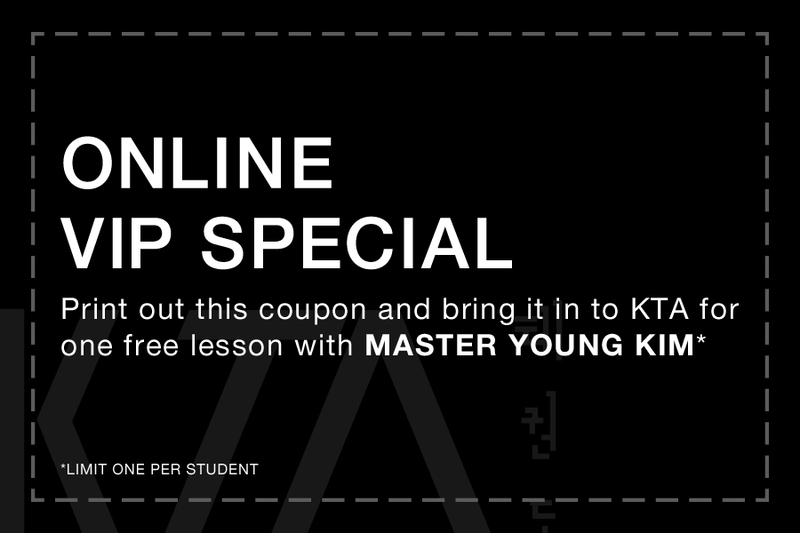 Click on the image above and print out the online coupon for one free private lesson with Master Young Kim.